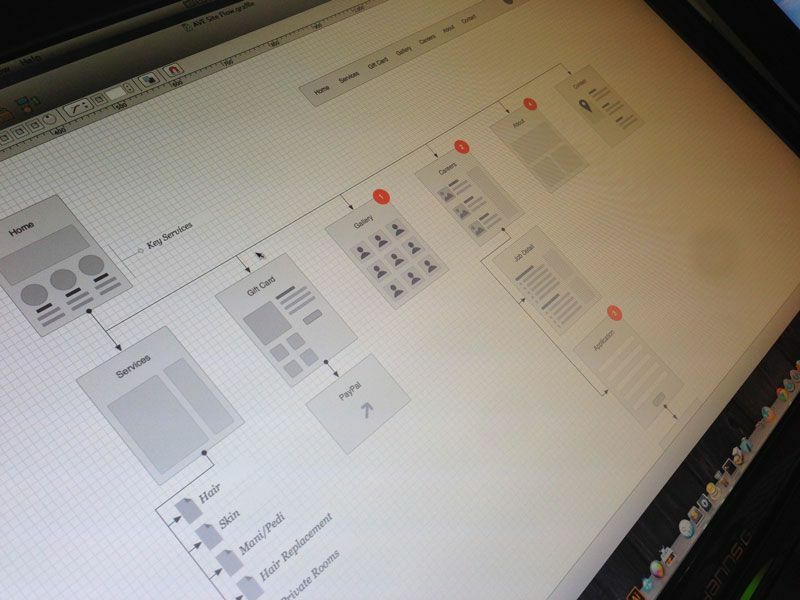 All websites should start with a good plan. 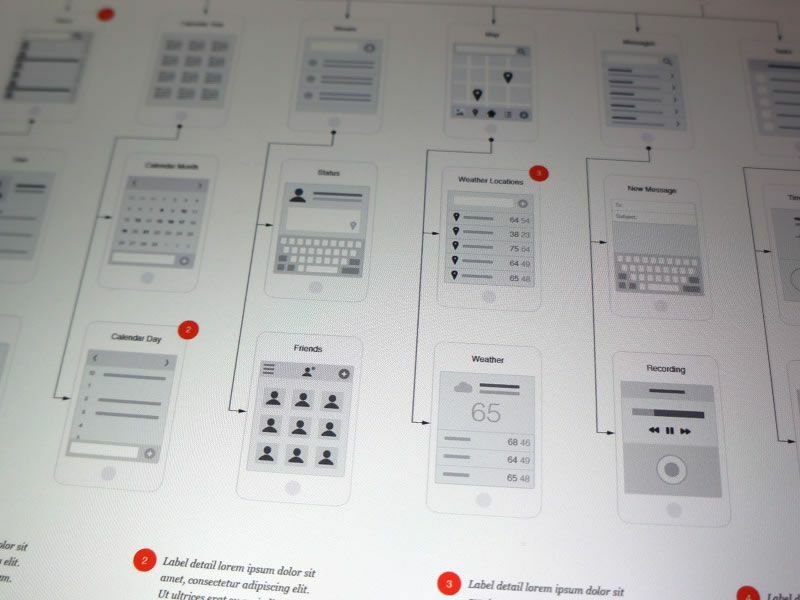 Focussing on the design process first may be common for smaller sites. 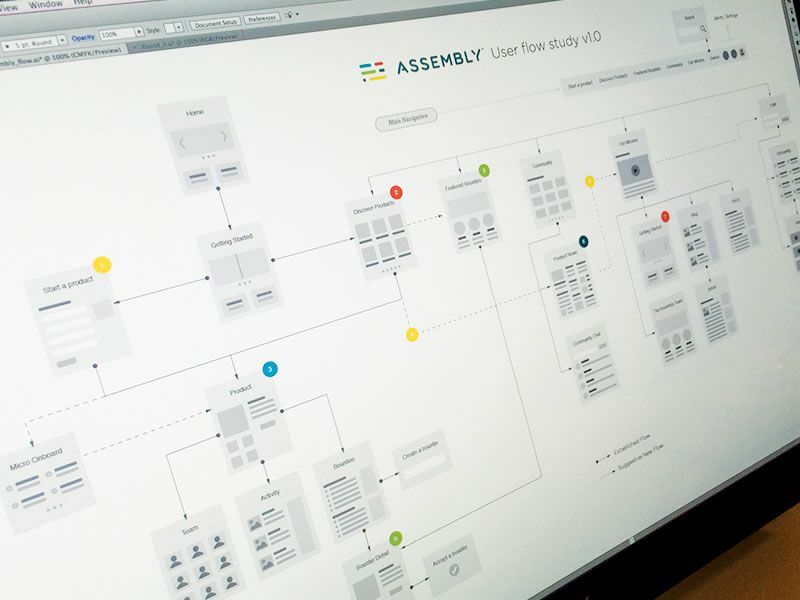 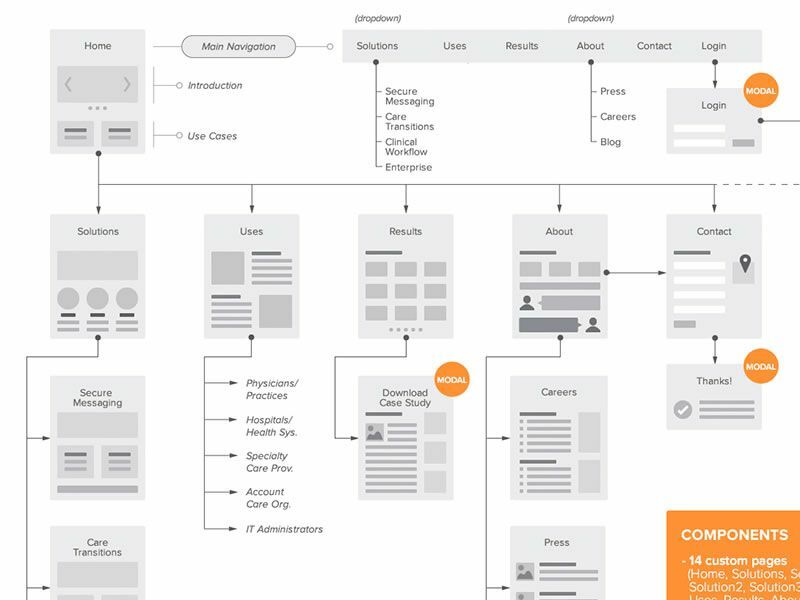 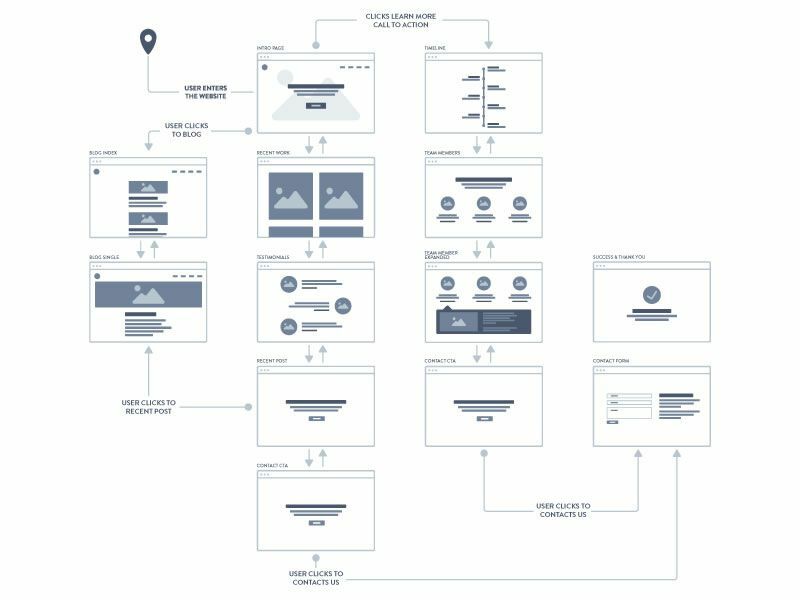 For larger sites, when user experience is paramount, creating an initial sitemap or user flow map is an effective way of working out how you want visitors to use and navigate around. 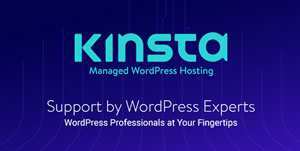 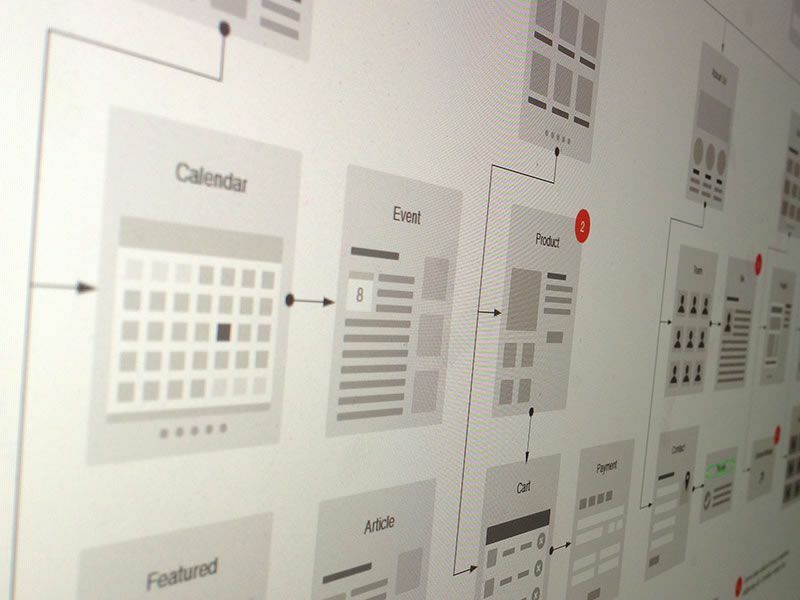 UX is key to a successful site. 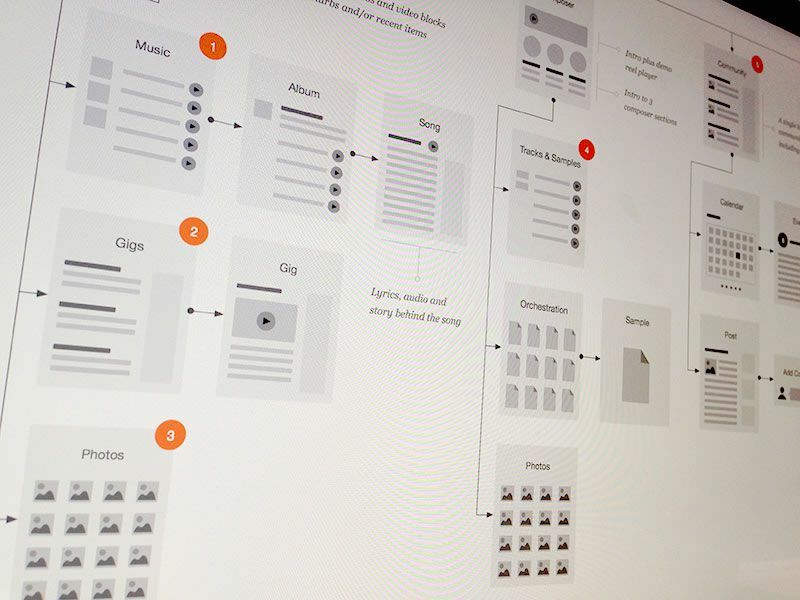 And always remember the 5PS of planning a site – Proper Planning Prevents Poor Performance. 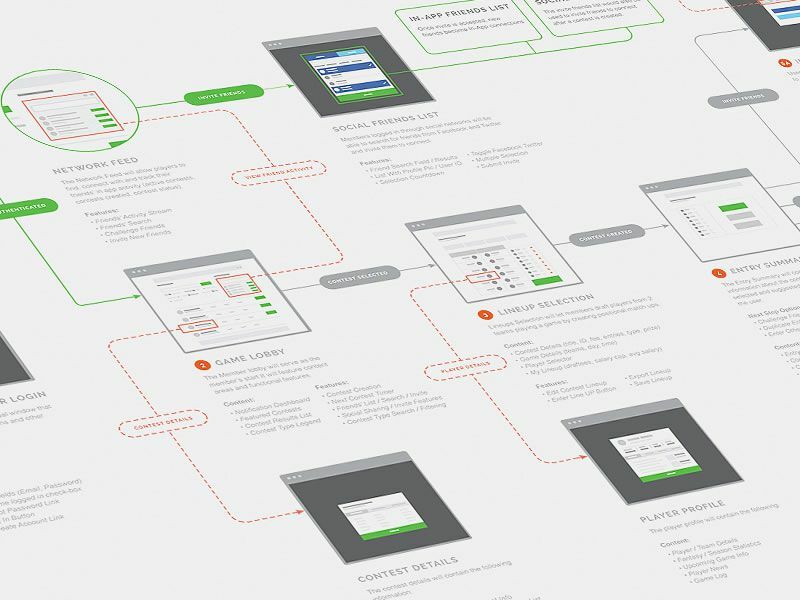 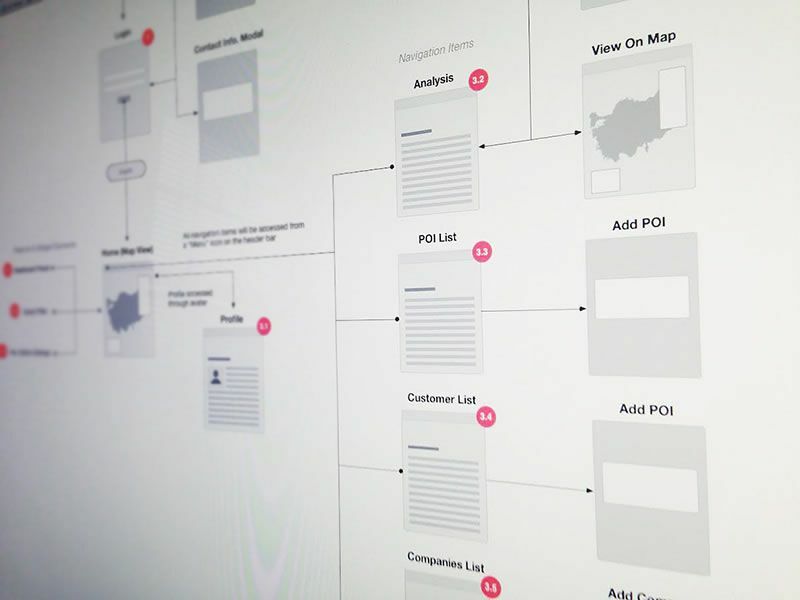 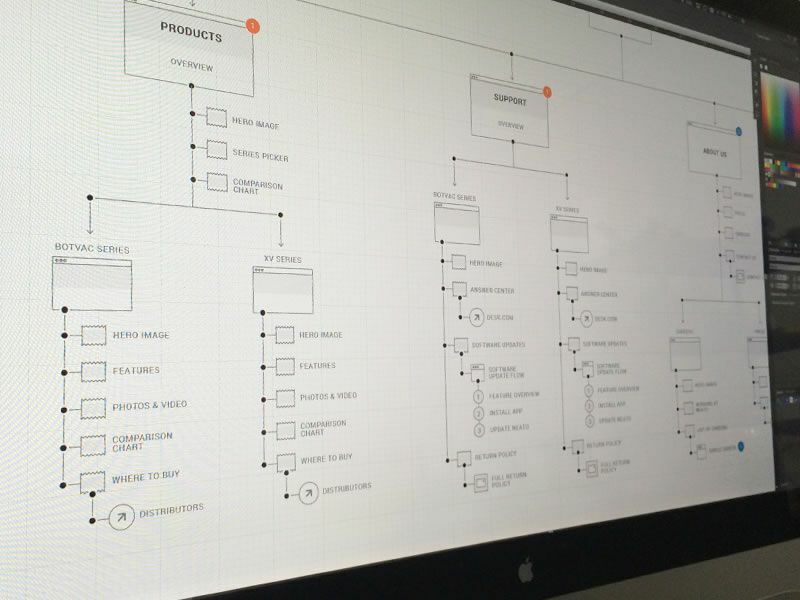 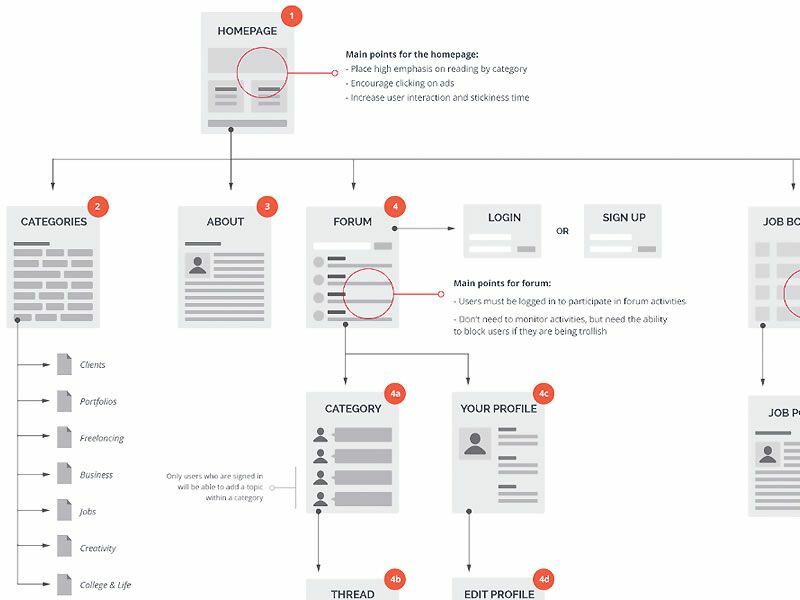 There are many different methods for creating a sitemap, but we don’t want to get into all of those today as they are typically not the best thing to look at from a design perspective. 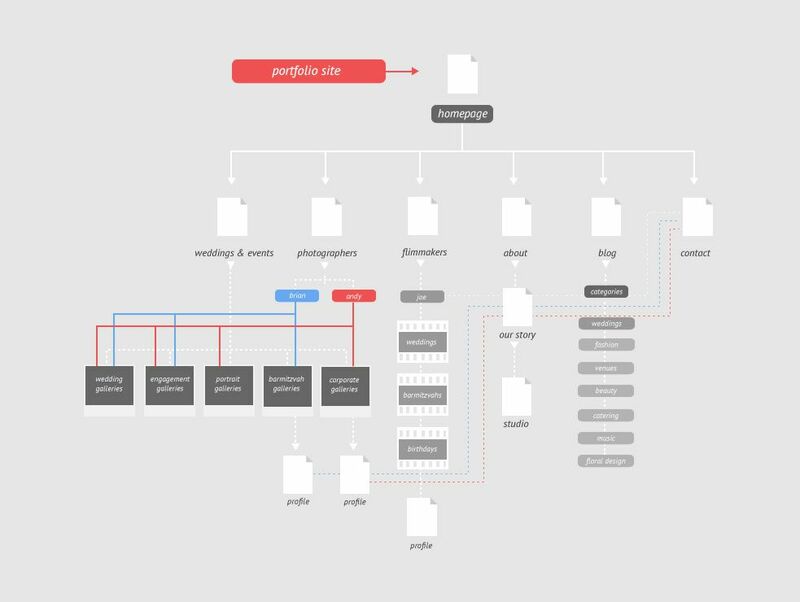 So we’re going to take a look at some sitemaps that have taken design into consideration. 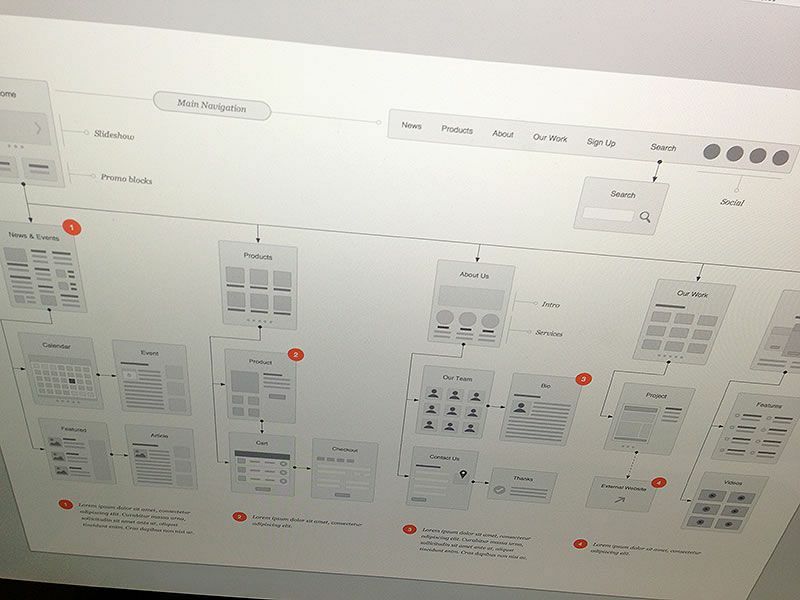 Not the site design, but the actual design of the sitemap. 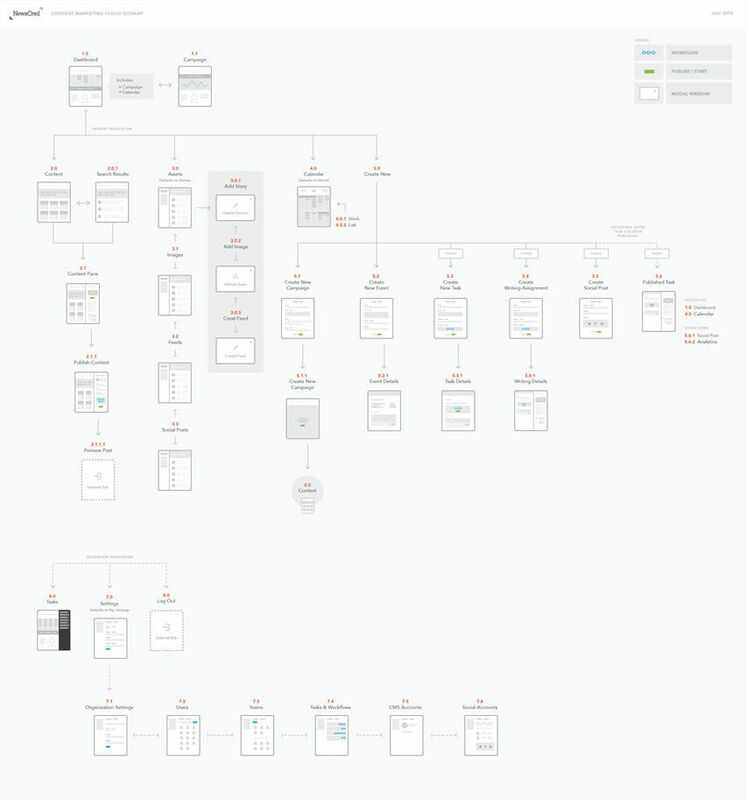 So no post-its, no Sharpies, no whiteboards, no mind-mapping software, just a beautiful selection of carefully crafted sitemaps. 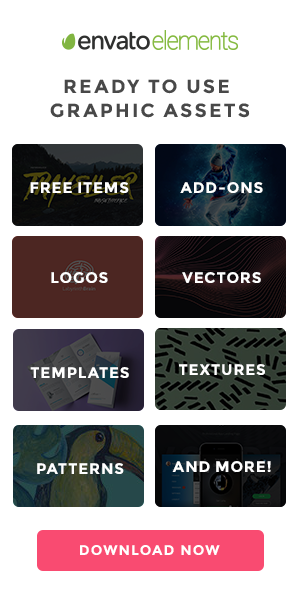 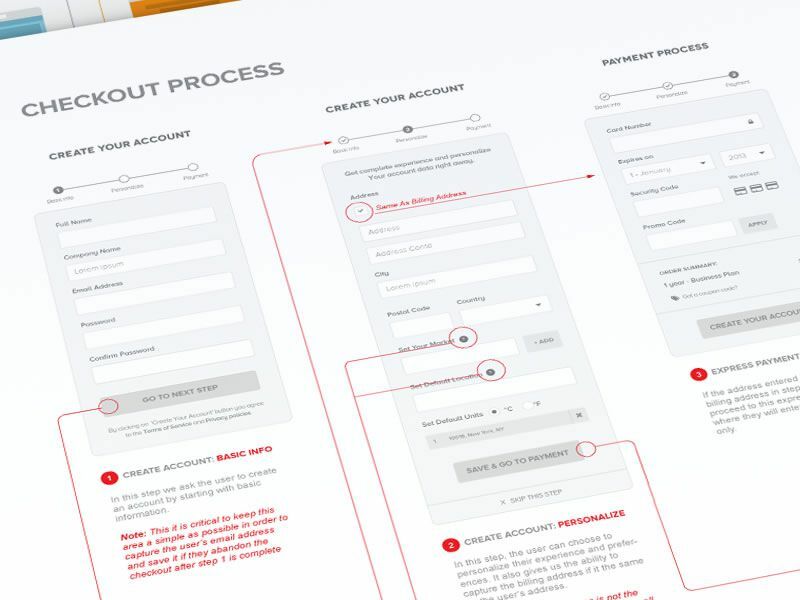 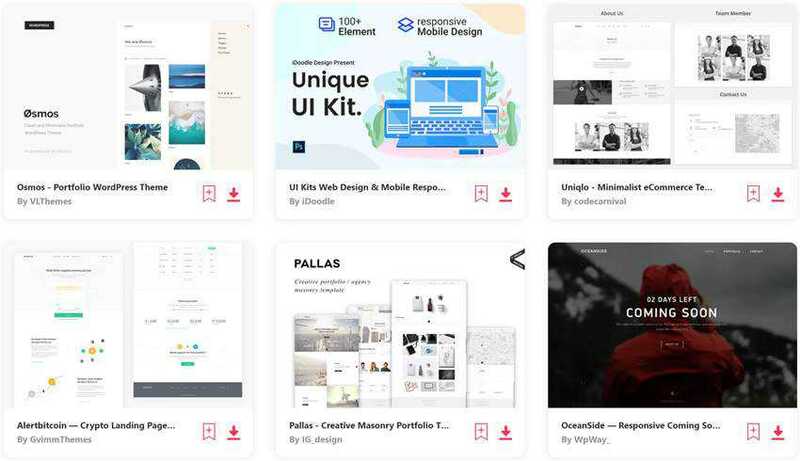 You might also like to take a look some inspirational UI style guides or even some examples of web design wireframe sketches.